The Ontario Alliance of Climbers consists of an Executive and Volunteers (listed below), Individual and Corporate Members, and Corporate Partners. Tony Berlier began working with the OAC in 2005 as a portfolio manager for the Central Bruce Peninsula and became co-chair in 2007. Tony has been instrumental in many aspects of the OAC, from initiating its establishment as a non-profit organization, increasing membership and volunteer participation, to developing relationships with land managers. Tony is primarily a sport climber and boulderer, climbing since the late 80s. Randy Kielbasiewicz has been climbing in Ontario for over 25 years. Generally preferring cliffs that are quiet and tucked away, Randy has established numerous traditional and bolted routes across Ontario. In 2010, Randy reached out to Devil’s Glen Provincial Park as a local climber wishing to establish long-term official access. This led to his joining the OAC board of directors in 2012, and co-chair in 2014. Randy’s focus is Central Ontario. Kevin Pawliw has had an interest in rock climbing since he joined his high school climbing team 10 years ago. In the last 5 years he has discovered the beautiful crags that Ontario has to offer, and this has taken his passion to another level. After taking from the sport for so many years, he contacted the OAC in 2014 inquiring on how he could give back, has attended board meetings to stay current, and has become the Treasurer in 2016. Kevin holds a Bachelor of Accounting degree from Brock University and received his Chartered Accountant designation in 2015. He currently works as an accountant at a publicly traded real estate company in Mississauga. He hopes to bring his expertise to the OAC and modernize the OAC’s accounting processes. Patrick Lam has supported the OAC since its inception, but become more actively involved since June 2012 and a director in 2013. One of Patrick’s main goals is to improve the lines of communication between the OAC and the climbing community. His analytical, grammatical and technological skills are a great help to the team. Patrick has been climbing for 8 years, 4 in Ontario. He enjoys sport, trad, multi-pitch and mountaineering. Mike Penney wants to live in a world where outdoor climbing is better understood and embraced, crimping IS easy, and weddings on long weekends are illegal. In 2006, nearing the end of a 14 year competitive swimming career, he stumbled into a climbing gym in search of a new passion. Since then, Mike has traveled extensively to climb but focused much of his energy here at home on the Escarpment. He has been active in hardware replacement efforts and route development throughout Beaver Valley and Lion’s Head since 2011. Particularly passionate about Lion’s Head, Mike has been actively involved with the OAC in efforts to protect access and solidify long term climbing privileges. 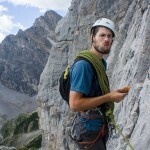 He is a passionate outdoor and climbing photographer with work often published in Gripped Magazine. During working hours, Mike manages a national retail sales team for Kimberly Clark consumer products. Graeme Taylor has 20 years of climbing experience in Ontario. Having started in the gym, he quickly made the transition to outdoor rock and ice climbing. He envisions the continued expansion of the OAC as an inclusive advocate for the climbing community across the province. Through his ongoing professional experience, Graeme works as an educator inside and outside of the classroom, and has regular contact with both climbers and non-climbing stakeholders who have an interest in how the lands that we access are managed. Justin Dwyer has been a member and volunteer with the OAC since its incorporation, and joined the board of directors in 2014. His current goal is to help the growing segment of gym-bred climbers make a safe and responsible transition to the outdoors. 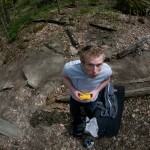 Justin enjoys all types of climbing, but has a soft spot in his heart for Escarpment trad and peanut butter sandwiches. Garrett Hutson has been enjoying Ontario limestone since he moved here in 2007. Garrett teaches in the Dept. 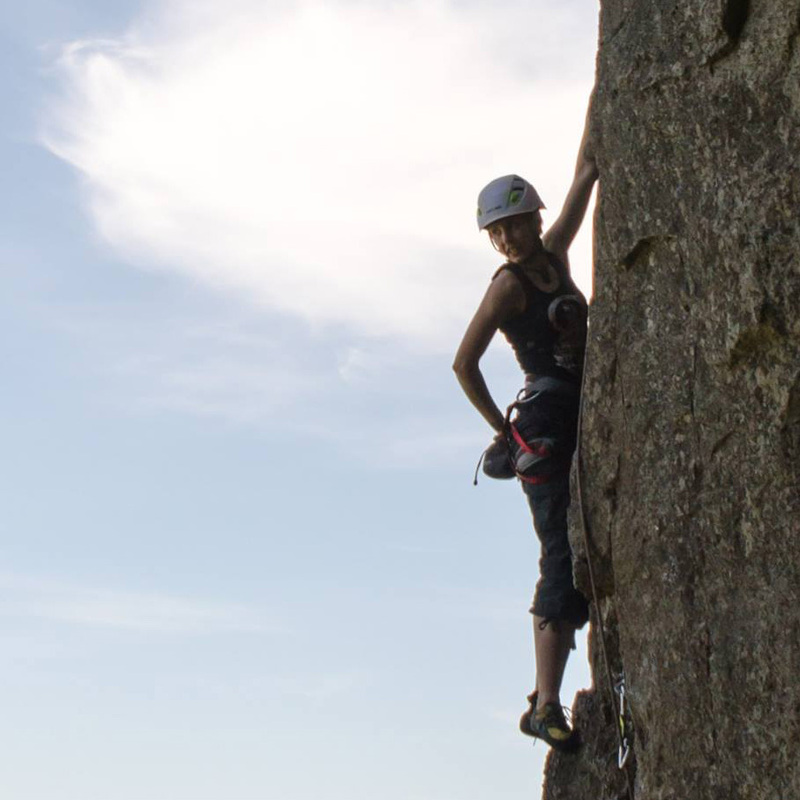 of Rec & Leisure Studies at Brock U and has worked as a climbing instructor for NOLS. 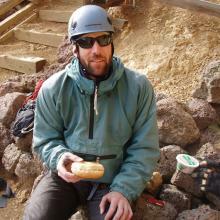 His published and presented research includes climbers’ attitudes toward sustainable practices. He has been a portfolio manager for the Niagara Glen since 2010, and is now helping with an OAC-MNR research project at the Swamp. Laura Banks has been actively involved as an OAC volunteer since April 2014. Her expertise in communications has helped strengthen the OAC’s relationship with the Ontario climbing community through the use of the OAC’s social media accounts and the development of the OAC gym representative program – a grassroots outreach initiative allowing for better in-person communication between our organization, gyms and their members. Andriy Kolos began working with the OAC in 2005. His primary portfolios are ice climbing and Conservation Halton. He also prepares the financial statements. Andriy continues to strengthen ties with Halton and hopes to expand the climbing opportunities close to Toronto. Climbing since the late 90s, Andriy enjoys climbing cracks, overhangs, some choss, as well as thin techy face routes. Mylissa Prisner joined the OAC’s volunteer efforts in October of 2014 as one of the original members of the gym representative program. Over the course of the past year, she has managed the Halfway Log Dump site host program, and is now assisting with the expansion of the gym representative program. Though fairly new to climbing, Mylissa has climbed all over southern Ontario, both indoors and outdoors. 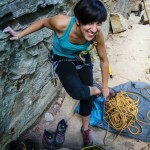 Primarily a sport climber, she also enjoys seconding on the occasional trad route. Mylissa dreams of dragging a few friends up to Thunder Bay to check out what northern Ontario has to offer.